ISC West, like any large trade show, can be daunting for attendees. At big shows, there can be hundreds of physical security manufacturers and dealers vying for your attention. Before you plan anything else, ensure you know what you need to achieve at the show. By clearly noting your objectives, you will be able to divide your time at the show appropriately, and carefully choose who you speak to. If there is a particular project your organisation is working on, search out the products and solutions that address your security challenges. If you are a security professional aiming to keep up with the latest trends and technologies, then networking sessions and seminars may be more appropriate. Prepare a list of specific questions that will tell you if a product, solution or potential partner will help you meet your objectives. By asking the same questions to each exhibitor you speak to, you will be able to take notes and compare their offerings side by side at the end of the day. This also means you won’t get bogged down in details that are irrelevant to your goals. Once you know your objectives, you can start to research who is exhibiting and decide who you want to talk to. Lists of exhibitors can be daunting, and don’t always show you which manufacturers meet your needs. Luckily, most trade fair websites provide the option to filter exhibitors by their product category. Many exhibitions also offer a downloadable floor plan, grouping exhibitors by product category or by relevant vertical market. It may be easier to download the floor plan to your phone/tablet or even print it out, if you don’t want to carry around a weighty map or show-guide. 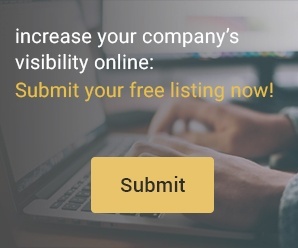 Once you have shortlisted the companies you need to see, you can make a schedule that reflects your priorities. Even if you are not booking fixed meetings, a schedule will allow you to effectively manage your time, ensuring you make time for the exhibitors you can’t afford to miss. If the trade show spans several days, aim to have your most important conversations early on day one. By the time the last afternoon of the show comes around, many companies are already packing up their stand and preparing to head home. When scheduling fixed meetings, keep the floor plan at hand to avoid booking consecutive meetings at opposite ends of the venue. This will ensure you can walk calmly between stands and don’t arrive at an important meeting feeling flustered! If you’re on a mission to expand your knowledge in a given area, check the event guide beforehand to note any education sessions you may want to attend. Look for panels and seminars which address the specific needs of your project, or which will contribute to your professional growth. This is one of the best opportunities you will have to learn from industry leaders in the field. Be sure to plan your attendance in advance so you can schedule the rest of your day accordingly. 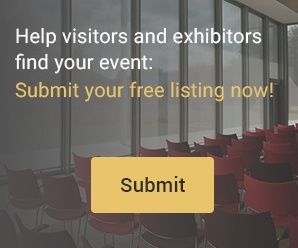 Armed with your objectives and list of questions, you will want to make a note of exhibitors’ responses to help you come to an informed decision. If you’re relying on an electronic device such as a smartphone or tablet to take notes, you may like to consider bringing a back-up notepad and pen, so you can continue to take notes if your battery fails. Your record does not have to be confined to written bullet points. Photos and videos are great tools remind you what you saw at the show, and they may pick up details that you weren’t able to describe in your notes. Most mobile devices can take photos – and images don’t need to be high quality if they’re just to refresh your memory. It may be tempting to take advantage of this time away from the office to talk about anything but business! While small talk can be helpful for building strong professional relationships, remember to keep your list of questions at hand so you can always bring conversations back to your key objectives. Keeping these goals in mind will also help you avoid being swayed by any unhelpful marketing-speak. It may seem obvious, but don’t forget to exchange business cards with everyone you speak to, or even take the opportunity to connect via LinkedIn. Even if something doesn’t seem relevant now, these contacts may be useful in future. Have a dedicated section in your bag or briefcase for business cards to avoid rummaging around. With your most important conversations planned carefully, there should be time left to explore the show more freely. Allowing dedicated time to wander will give you a welcome break from more pressing conversations, and may throw up a welcome surprise in the form of a smaller company or new technology you weren’t aware of. Photo identification: As well as your event pass, some events require photo identification for entry. Notebook and pen: By writing as you go, you will be able to compare notes at the end of the day. Mobile device: Photos and videos are great tools to remind you what you saw at the show, and may pick up details you missed in your notes. Paper schedule & floor plan: In case batteries or network service fail. Business cards: Have a dedicated pouch or pocket for these to avoid rummaging at the bottom of a bag. Comfortable shoes: If you’re spending a whole day at an event, and plan on visiting multiple booths, comfortable shoes are a must!